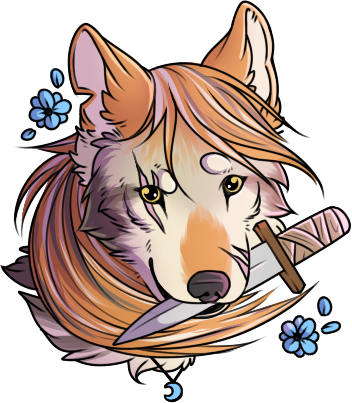 She's beauty, she's grace, she'll slice open your face. 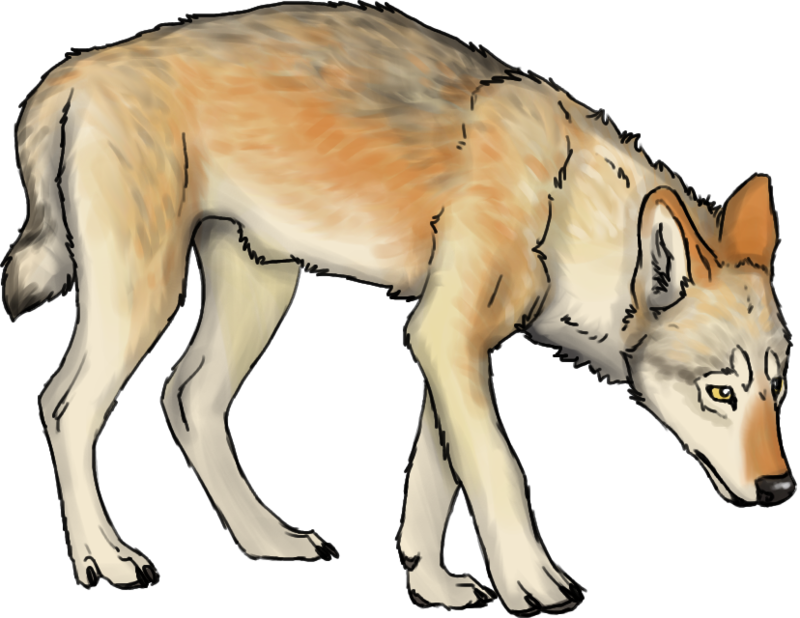 Species: Elizabeth is a wolf-dominant mix, and it shows. Optime Hair: Long, flowing hair - she'll sometimes tie it up to keep it out of the way. Build and Size: She's slender and wiry, much like her mother; she has lean muscle. Her fur is primarily Janna. 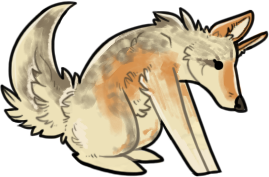 She has Raw Sienna on her ears, muzzle, and sides. She has Soya Bean streaks from her eyes to her cheeks, and scattered across her back and tail. Optime Hair: Her Optime hair primarily Raw Sienna with streaks of Janna and Soya Bean. Scars: Two across her right eye and two on the left side of her muzzle. She has a blue moon-shaped necklace. She might also have dresses and skirts. Once shy and demure, getting captured for slavery in late 2016 (along with her brother) has caused Elizabeth to come out of her shell. Having to fight to escape and return to 'Souls, she's now more confident than before, and possesses fighting skills that belie her sweet, feminine nature. Fighting (Journeyman): Having fought her way to freedom along with Elijah, she's well equipped with her daggers. Reading (Journeyman): She was a good reader back in Midnight Shores. Elizabeth Collins is the daughter of Skye Collins and Jazper Rhiannon-Knight, born in Cercatori d'Arte on September 8th. Elizabeth is a founding member of Midnight Shores. After escaping the slavers with her brother, Elizabeth has ended up back in 'Souls - but with no Midnight Shores to return home to.